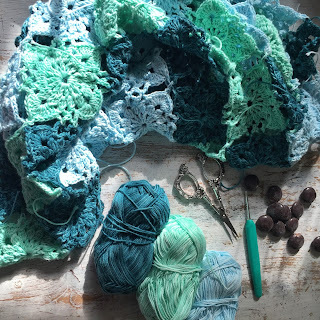 Fifty Shades of 4 Ply: Summer Crochet Wrap Project! Anyway! I digress! Those of you who follow me on Instagram will have seen my summer wrap project as it progressed. It's a join as you go (jaygo) project that it very versatile as it can be used as a summer evening cover up or a lovely soft scarf. I wanted to do a complete idiots guide to join as you go. If only there had been a one available for me! Jaygo has been my nemesis!!! Ok so first off I chose some yarn. I wanted something that was pretty hardwearing but with a lovely drape. 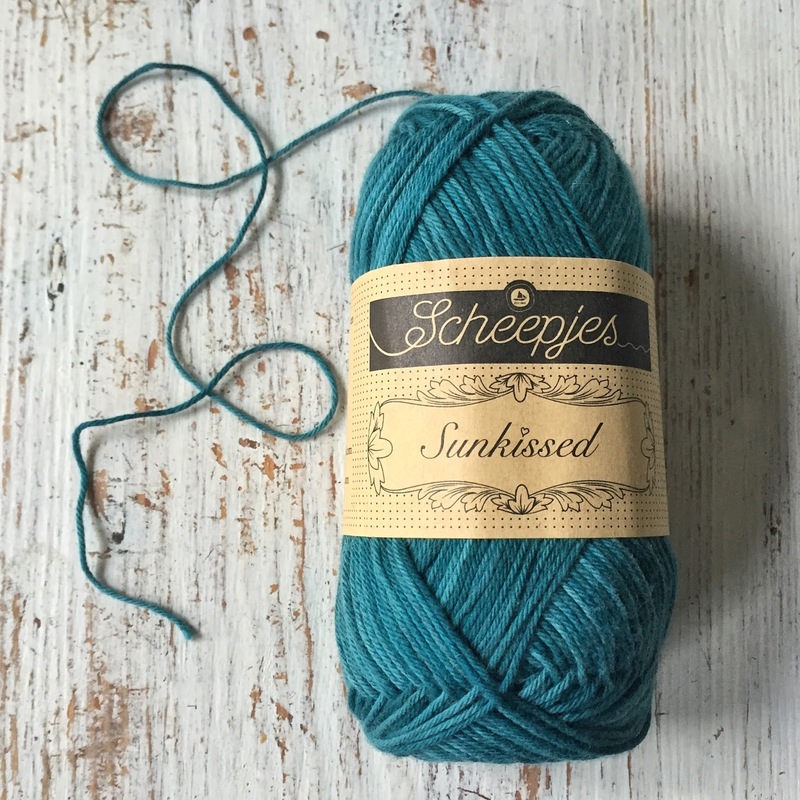 Cue the recently launched Sunkissed cotton yarn from Scheepjeswol. I just love the gentle colour variations in this yarn. As you can see from the label, you can wash this yarn and it'll cope with an iron too! And the best bit???? NON SPLITTY COTTON YARN!!!! It comes in a delightful range of colours. Check them out on the Scheepjes website here! For my project I opted for colours 3, 6 and 7. You could even make this wrap in Scheepjes Cotton 8 but I challenge you to choose from the staggering amount of stunning colours!!! So off I set making up the wrap. I was aiming for a random colour placement. It kinda worked!!!! 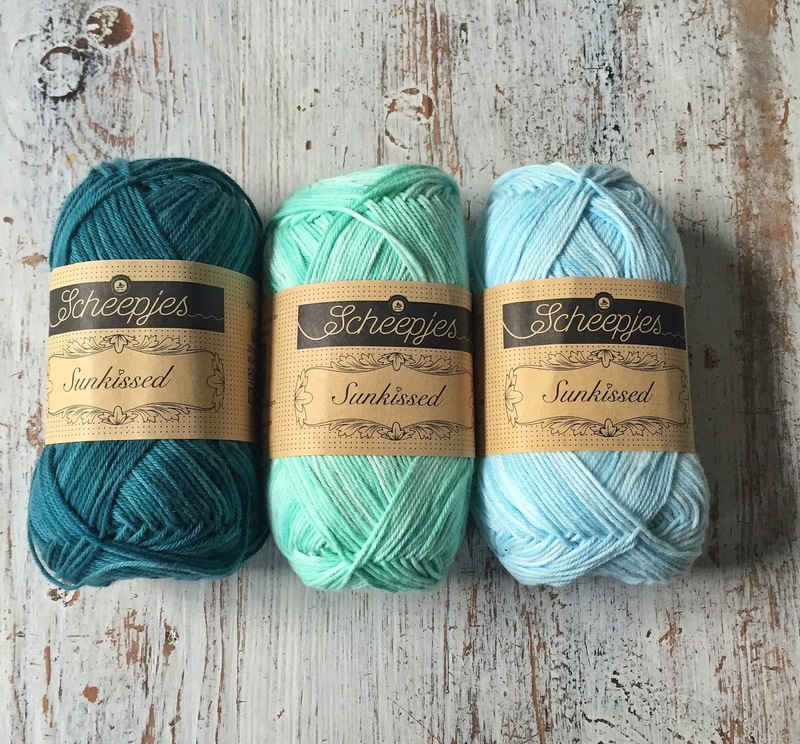 Beautiful colour combo and perfect yarn choice for this pattern! I love to work with this yarn. Your colors are beautiful. And the squares also. I will type this carefully but will anyone be able to read it? The font is not clear. ps I hope these emails are vetoed prior to publication as I would be upset to write something I regretted later. NO naughty words! The images are mystifying and not really necessary. Dear Maria, I live the yarn you choose! Is the right pattern the "Cotton Neaf Motiv"? Are you going to join them in order to make a swhall? Fabulous! 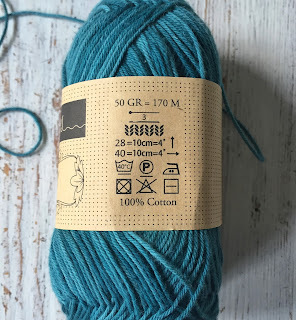 I have the yarn stashed for myself in this colour way. I am making one for my sister in pink, area, and lilac.....different yarn, will keep your posted :) Thank you, this pattern and the photos are clear and well done.